Thank you for your interest in the San Ramon Valley Inclusive Sign Project. This “Everyone is Welcome Here” project is the result of a coordinated effort of students, community, business, government, and education leaders from throughout the San Ramon Valley. The goal of the project is to create a clear message that the San Ramon Valley welcomes all individuals, regardless of race, color, age, ethnicity, religion, marital or parental status, physical or mental disability, gender, gender identity or gender expression. We strive for a diverse, welcoming and truly inclusive community. To support this message, a community-based committee worked with students and teachers from San Ramon Valley Unified School District to develop the Inclusive Sign Project. 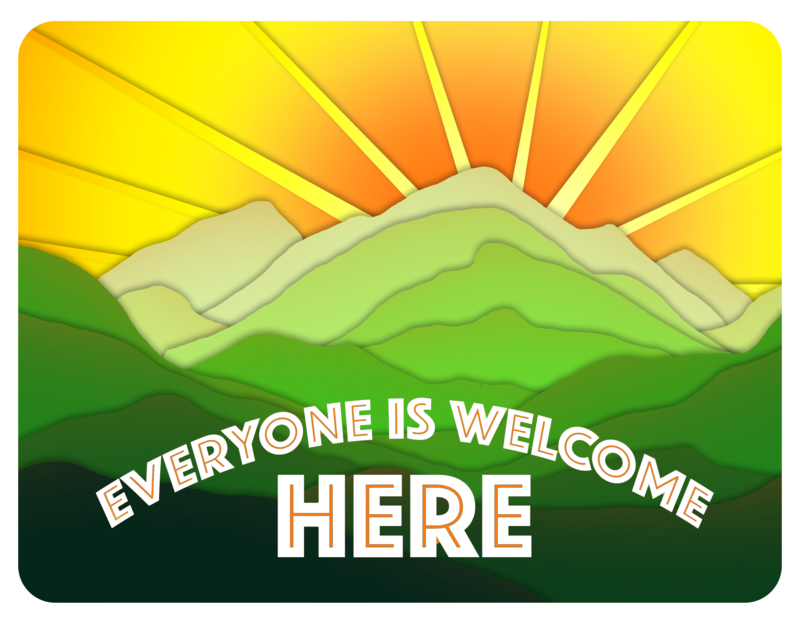 Students from SRVUSD high schools developed concepts for a welcoming sign, and then worked together to develop a sign that can be displayed in businesses, schools, homes, places of worship and organizations throughout the San Ramon Valley. By displaying the sign, you help us achieve our goal by sending a message of welcome at your place of business, worship, learning or gathering regardless of background. You can further support this message by discussing the purpose of this sign with all members of your organization. Should you be interested in joining us in our endeavor to create a more inclusive San Ramon Valley, please contact Elizabeth Graswich, SRVUSD Director of Communications & Community Relations at communications@srvusd.net. Thank you, and we look forward to seeing your sign displayed soon. Click here to download the Welcome Sign. Click on our video PSA to learn more!